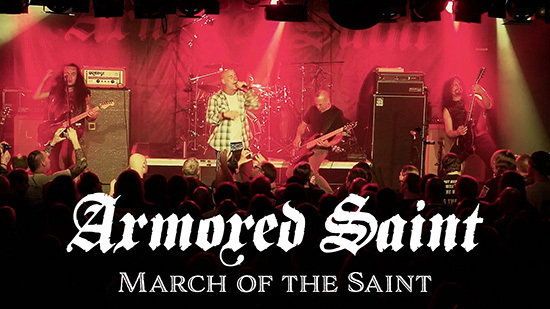 On February 24th, Armored Saint is releasing their new live album, Carpe Noctum. Having toured with Metallica, Whitesnake, Alice Cooper, The Scorpions, and many other artists since their inception in the early 80s, Armored Saint has always been a highly regarded live act – not only in their hometown of Los Angeles, but also around the world. The only official release to capture this, however, is 1989′s live album, Saints Will Conquer – until now, with Carpe Noctum, which was recorded at the band’s 2015 Wacken festival set, as well as their headlining show in Aschaffenburg, Germany.